Davido has dedicated the two awards he won at the 2017 Africa Muzik Magazine Awards & Music Festival (AFRIMMA) to two of his friends – Tagbo and DJ Olu – who died days apart last week. One for Olu, One for Tagbo 🌹 ! Nothing but love , support , and positive energy came from you guys ! Thanks for you guys for keeping me motivated . This is ‘OUR’ Award. 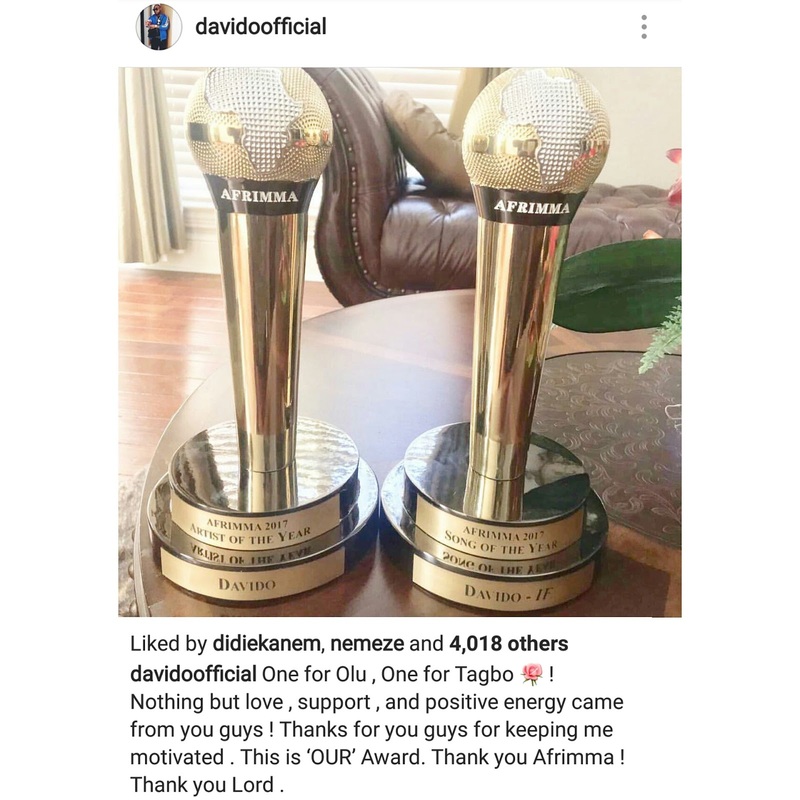 Thank you Afrimma ! Thank you Lord.